Two year's ago, we had our front and back door replaced. Overall, I was pleased. About a year later I was noticing the front door looked like it has ripples on it. Then we were having difficulty opening the door. It was as though the lock was misaligned. Eventually (22 months after initial install) I emailed Consumer's Choice with photos of the door. They called me in a timely manner and sent someone out to take a look. He confirmed the door had a defect and they would replace it for me at no charge. He also fixed the alignment of the door so it would work properly. Unfortunately, a couple weeks later we had the same difficulty with opening the door. A couple of weeks ago another installer came with the new door. He was a really nice guy and identified the alignment issue had to do with the screws used when the door was first installed. He said it's a heavy door and they didn't use the long enough screws to support the weight. So he corrected that. So far everything has been great. Overall I am very pleased with this company. They stood by their product and quickly and easily replaced it when needed without hassle. I deducted one star because the original installers (subcontractors) did not use the proper screws to properly support the door. I think you experience will very much depend on which subcontractor you get. Hi Ramona. Thank you for your review. We are glad to have resolved your issue quickly and you are happy with your front door. All of our installers have been with us for +10 years and install exclusively for Consumer's Choice. Sincerely, The Consumer's Choice team. This review is long overdue as this project was complete almost three years ago. 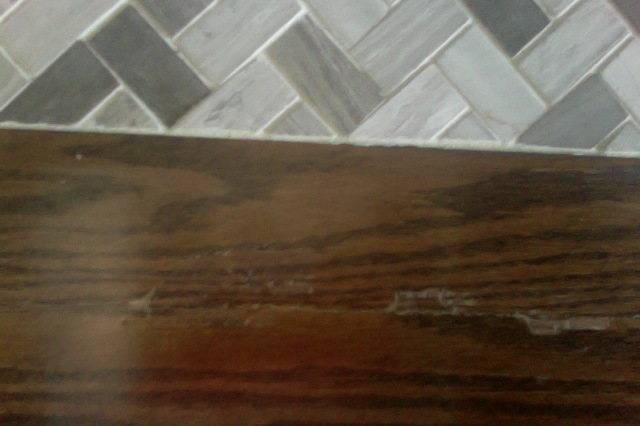 We hired Higgins to match the existing hardwood and extend it through our kitchen and to the front of our house. The complete floor (old and new) was sanded and stained. They did an excellent job of matching the wood so it looks seamless. But my praise ends there. Below are a list of my complaints: Some of the the planks in the new section have a lot of give and move when you stand on them. Some section are raised and uneven. We had to reinforce a step into our laundry room as it felt like it was going to give way every time we stepped on it. The colour was not what I had selected. 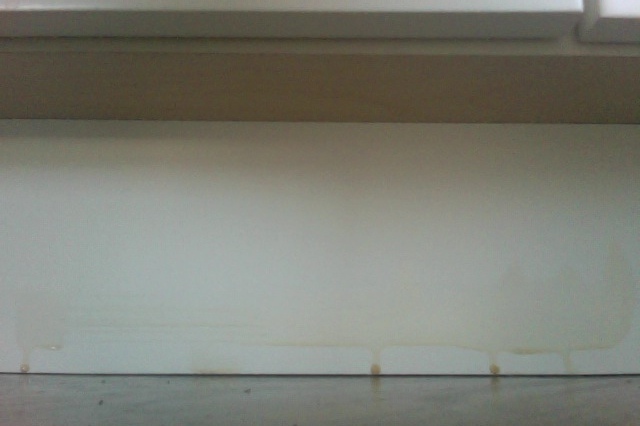 When I called to complain after the staining they told me that it would darken when they put the sealer on. Nope. It still wasn't close to what I had chosen. And they didn't leave extra stain as I was told would happen. But my biggest complain was the sealer. The guy who did it splashed sealer all over the bottom of my brand new kitchen that was in the process of being installed. It's still there to this day. Higgins did not respond to this complaint. Now a few years later, the sealer is actually pealing off in several places on the floor. The guy who did the sealing was inconsiderate of my time and would never let me know when he was coming. I would get a call saying I'll be there in 10 minutes. When I said I wasn't home his response was "we don't have to do the sealing". Never again will I use or recommend Higgins. Hired Turnbull roofing last year based on the excellent reviews here and the guy who came to provide a quote. He was extremely thorough in his explanation of what would be done. He also honoured the price for a few months (we got him to quote in the spring and weren't able to have to job done until the fall). The guys arrived when they said they would and completed the project quickly. They cleaned up (however we did find some nails). I was very happy with Turnbull roofing. Thank you Ramona, for taking the time to review our company. It means a lot to our business and it is much appreciated. 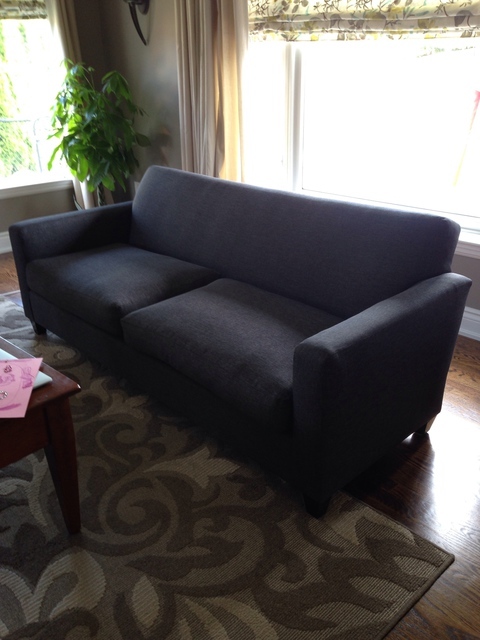 I had two high quality sofas that were in amazing condition but the fabric was beyond its life span. Gary has completely transformed my sofas and given them new life. He is by far one of the best trades that I have ever dealt with. He is such a nice guy, true to his word, and takes pride in his work. I am happy to recommend him to anyone in need of an upholstery project. Thank you Gary for such a great job on my sofas. I found Dave through Homestars and took a leap of faith. I was moving to Courtice from another city a couple of hours away and was asking him to paint the main floor, kitchen, upper hallway and all the associated trim before we moved in. Most of our communication was done via email and I found him to be responsive. He met my husband at the house during the home inspection to provide a quote. He was on time, pleasant, and seemed knowledgeable. Since no one was going to be at the house, we entrusted him with a key and left a cheque and hoped he was honest. He was. We were so pleased with the job he and his crew did. This was a big job to get done in one day and they did it and did it very well. I wouldn't hesitate to recommend Dave. Thank you and we will be calling you again in the future.